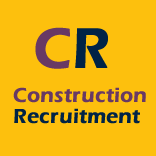 Valuation + Building Surveyor (RICS) – London / Greater London My client is a Chartered Building Consultancy, registered with and vetted by Construction line, Association of Building Engineers, Association for Project Safety and regulated by the Royal Institution of Chartered Surveyors (RICS). They were established in 2006. The practice has experience of working in residential and commercial sectors.The practice is a young and highly motivated company undertaking projects in London, Surrey, Sussex and Kent. Candidate My client are looking to secure the services of an experienced residential surveyor to become a key part of their team within various locations in the UK. Applicants will need to be RICS registered valuer, with at least 2 years post qualification experience of residential surveying, home buyer reports and mortgage valuation surveys as this role will be responsible for strategic relationships in these areas. Candidates specifically need experience carrying out building surveys, homebuyer reports and valuations for home buyers. They are not looking for council or social housing specialists as the most previous employers. Clean driving license essential. Mainly working solo but needs to be able to communicate well with clients.Working in greater London area (no area specifically) Industry leading package available dependent on experience. ConstructionRecruitment.net acts as an employment agency for permanent and contract recruitment. Our client an independent building surveying firm is looking for a chartered building surveyor to join the team. The business is growing and they have a strong financial outlook with visibility on a pipeline of work for the next year and beyond. The ideal candidate will have a broad experience of carrying out surveys on residential and commercial properties and be familiar with CCTV drain surveys, Electronic measurement systems and thermal imaging technology. You will be professional and confident, with excellent verbal and written communication skills, as well as a methodical and well organised approach. You will be able to demonstrate the ability to work autonomously to effect the efficient delivery of your work load. Your customer service skills must be second to none. The Ideal Candidate Nearly or newly Chartered Building surveyor (up to 2 years PQE) Professional and flexible Experienced in surveying high end residential properties. Clean driving license In return for your hard work you will receive a competitive salary and a company vehicle, as well as the opportunity to progress within the business. For more information on this role and others we may have please call Matt Steggles for an informal chat. Due to the high number of applications, if you have not received a reply within 7 days, please assume you have not been successful on this occasion. We will keep your details on file for future, more suitable roles. Thank you. Girling Jones Ltd is acting as an Employment Agency in relation to this vacancy. Chartered Building Surveyor Location - Reading Salary - £42,000 - 50,000 + Benefits Our independent building consultancy client is looking to bring on an experienced Chartered Building Surveyor to become an integral part of their Thames Valley team in Reading. The ideal candidate will be someone with several years' experience in a residential and commercial setting and would need to be RICS accredited as this firm of Chartered Surveyors is keen on maintaining the standards they have upheld since they established their 11 UK offices many years' ago. The individual needs to have a solid working history and have covered a number of general building surveying duties to comfortably fit into life with our client. The Role of Chartered Building Surveyor Main Duties include: Condition and building surveys Project managing a small team Defect analysis Dilapidations and party wall matters Refurbishments Advising on the management and supervision of maintenance of buildings Experience required Full UK Driving Licence MRICS/RICS Chartered Experience in a residential/commercial sector Why choose our client? Our client has completed a number of projects across the UK with big names such as William Hill, Allianz and Oxford City Council, and staff under our client will receive a competitive salary and benefit scheme. As well as a competitive salary, our client can offer a company car as well as competitive holiday package for prospective candidates. If you are a Chartered Building Surveyor looking for a new opportunity in the Thames Valley then please call Dario Bharat on or alternatively email him at . Chartered Building Surveyor - Birmingham Salary: £45,000-£50,000 + Benefits We are proud to be working with a very respectable company that are recommended by some of the UK's top estate agents. My client is a RICS Accredited Building Consultancy that are looking for a committed Chartered Building Surveyor to join their team in Birmingham. As a Chartered Building Surveyor, your duties will include: Produce in depth factual reports, identifying the extent of damage and ensure this is communicated to the client Manage a wide range of Projects and deliver in expected time Produce detailed CAD drawings Take ownership of decisions and work in accordance with all legal Building Regulations Carrying out building surveys and have input in structural engineering by using own initiative and knowledge from previous experiences and projects Maintain strong long-term relationships with new and existing clients As a Chartered Building Surveying, you will have: Excellent Verbal and written communication skills to converse with a wide range of clients from different sectors and levels Have a Full UK Driving License - as you may be required to travel nationally Hold an MRICS Qualification with 12 months PQE Be able to lead and advise other consultants in the industry Have knowledge of industry specific I.T software My client offers the successful candidate a company car, option to work from home, full paid holiday. For more information on the Chartered Building Surveyor vacancy please call Rima Rezwana on for an informal chat or alternatively email - Commutable locations: Coventry, Leicester, Walsall, Wolverhampton, Derby, Telford Skill words: Project Management, Project Delivery, Surveying, Construction, Structural improvements, Valuation, Time Management, Excellent communication. My client, a leading regional construction consultancy, have identified a requirement for an additional building surveyor to join the team in Exeter. This established company has an established client base and a growing pipeline of varied work guaranteed to keep you interested Based from modern offices our clients are a truly multidisciplinary practice with a motivated, dynamic team. They pride themselves on an open working environment that encourages growth and development and provides support to all members of the team. The ideal candidate MRICS Building Surveyor ideally 1-2 years PQE from a consultancy background Well rounded skill set including surveys, projects and professional work. Commercial and some residential experience Surveys, schedules of condition and flood/fire reinstatement works Dilapidation's and fund monitoring experience CAD and CDM-C qualifications a bonus The successful candidate will be able to work autonomously and as part of a team and will be comfortable meeting and negotiating with clients of all types. In return for your hard work a competitive salary and package including a generous car allowance is on offer. For more information on this role and others we may have please call Matt Steggles for an informal chat. Due to the high number of applications, if you have not received a reply within 7 days, please assume you have not been successful on this occasion. We will keep your details on file for future, more suitable roles. Thank you. Girling Jones Ltd is acting as an Employment Agency in relation to this vacancy. Building Surveyor - Salford Salary: £35,000 - £40,000 + Benefits My North West based client has an impressive portfolio working with a wide range of clients all over the UK for over 150 years where they have accumulated a high level of market knowledge and a very reputable status. The company are currently looking for a devoted Building Surveyor to join their successful team in Manchester. As a Building Surveyor your responsibilities will include: Oversee all Projects within your region where you will have to carry out contract administration, plan and design, produce CAD drawings and co-ordinate all building surveying duties Offer our respectable client's strategic advice, negotiate, agree and settle dilapidations Ensure you comply with all Building and Planning Guideline instructions Stay alert for new opportunities that can be beneficial to the business Sustain long term relationships with all clients, new or existing Attend and lead meetings on a weekly and monthly basis The successful Building Surveyor will ideally have: A full UK driving License - as you will be required to travel within the UK for projects Hold an MRICS qualification Be able to use own initiative and manage own workload ensuring you deliver in a timely manner Hold a very professional manner when communicating with clients and associates from other parts of the industry Possess industry relevant IT Skills and have knowledge of Office 365 For more information on the Chartered Building Surveyor vacancy please call Rima Rezwana on for an informal chat or alternatively email - Commutable locations: Liverpool, Stockport, Bolton, Rochdale, Huddersfield, Sheffield, Preston, Leeds Skill words: Project Management, Project Delivery, Surveying, Construction, Structural improvements, Valuation, Time Management, Excellent communication. A role has arisen for an Asset Surveyor to join a well established affordable housing client, within the Asset and Development Team. The post is eligible for a 10% salary enhancement for the first year, raising the salary to £34,000. This can then be applied for to receive again for the following years in post, subject to a review. PURPOSE OF THE POST: To effectively plan and deliver, under the direction of your manager, building surveying and tenant liaison services in the planning, maintenance, improvement and investment in the Councils Housing stock and other assets held within the HRA or managed. To ensure that value for money is delivered through all projects. To effectively target available resources to achieve value for money. Why apply for the Asset Surveyor post: * You will be supported by an experienced management team, keen to develop staff and promote from within * Receive a 10% salary enhancement for the first year, which can then be applied for to receive each year thereafter * 25 days holiday + 8 bank holidays, rising to 35 days after 10 years in role * Receive Government Pension Scheme * Car allowance * Flexible benefits scheme If you would like to discuss the position in further detail call Oliver at Eden Brown on . Eden Brown is committed to equality in the workplace and is an equal opportunity employer. Eden Brown Ltd is acting as an Employment Agency in relation to this vacancy. Job - CAD Technician Location - Ipswich Salary - DOE Term - Permanent Here at Select Technical we are recruiting for a CAD Technician with a minimum of 2 years business experience for a large construction consultancy. The successful candidate be highly proficient in CAD/ArchiCAD and possess good knowledge of building construction, building regulations and have some understanding of planning legislation. Key responsibilities - Assist in creating presentation drawings for clients. - Undertake concept and detail architectural design under guidance of Senior Surveyors. - Create models and drawings using ArchiCAD software. - Prepare technical reports. - Liaise with Architects and other professional staff in developing designs. - Prepare building regulations submissions. Key experience - Highly proficient in CAD/ArchiCAD - Microsoft office proficient - Desirable: hold a degree or equivalent in Building Surveying, Architectural Technology or similar. If you think you are suitable for the position then Apply Now! Senior Building Surveyor Location: Shrewsbury, travel will be required from time to time to Staffordshire Salary: £33,500 - £36,000 per annum plus car allowance Permanent, 37 hours per week We have an exciting opportunity for an experienced Surveyor to join the team based from our Shrewsbury office. As a Senior Building Surveyor, you will be responsible for the effective day to day delivery of a professional, cost effective, customer focused repair works service. You will have a proactive approach and lead by example to contribute to the successful delivery and development of the overall business. The key responsibilities within the role are to: -Provide in depth technical building pathology and building surveying guidance to the Asset Management team in relation reactive and void maintenance. -Undertake complex technical inspections as required and provide appropriate technical -Be responsible for the day to day supervision of technical works contractors reporting to the post ensuring the effective use of their and other company resources. -Provide solutions and manage any works arising through to completion. We are looking for a professionally qualified Building Surveyor with experience of: -Building surveying and complex defect diagnosis within domestic buildings -Health and safety regulations and relevant statutory regulations relating to housing providers. -Building regulations, gas and electrical safety and asbestos awareness is also required. Due to the nature of the role a current valid driving license along with access to a suitable vehicle will be required. Benefits: Car allowance, 25 days holiday rising to 30 days, plus 8 days bank holidays and 3 concessionary days at Christmas/New Year, Pension, Training, PPE and coverage of membership fees for one corporate membership eg CIOB or RICS Closing Date - 29th March 2019 Interview Date - 3rd April 2019 Your expert recruitment consultant is Andrew Husselbee, call today on or email Eden Brown is committed to equality in the workplace and is an equal opportunity employer. Eden Brown Ltd is acting as an Employment Business in relation to this vacancy. CAD Technician The Client: One of the region's leading multi-disciplinary construction consultancies, specialising in the delivery of quality, innovative and value focused projects for a diverse range of clientele. This forward thinking business, several times recognised with awards for their people orientated-style and excellence in business, strive to bring the best out of the places, properties and people they work with, believing in an exceptionally detailed vision that sets out an operational blueprint for excellent. The Role: Looking to strengthen their Design Team, an exciting vacancy for CAD Technician has arisen, with the aim of providing design and drawn information input to both building surveying and architectural projects. The business hold a diverse and exciting portfolio, and so there will be huge scope to get stuck in a varied scope of works. Responsibilities: - Undertake projects of a high level of complexity and financial value. - Work collaboratively with other teams and professionals within the company and with external contractors and suppliers. - Be responsible for the supervision of work and quality of output when delegating work to graduate or estate surveyors in the team. - Be able to undertake bespoke projects with limited input from others. - Be able to carry out non-project work to support the team - Ensuring Asset Information requirements and/or MIDP requirements set out in the Employers Information Requirements and delivered on a BIM project. - Experience of using valuation software such as KEL DRC & DELTA and Calcurate - Local market knowledge covering Suffolk, Norfolk and/or the Eastern Region. Qualifications & Experience: - Degree in Building Surveying or Architectural Technology is desirable - ArchiCAD / CAD proficient with minimum 2 years of relevant practical experience - Good knowledge of building construction, planning legislation and health & safety What to do next: If you are looking for a new opportunity and this role is of interest, apply via the link below and we look forward to discussing the role in more detail with you. If this role is not for you, but you are interested in exploring new opportunities, we'd still be keen to hear from you as we cover a wide range of positions with contractors and developers of all shapes and sizes, so please get in touch on the number provided. Please note, all applications are held in the strictest confidence. Chartered Building Surveyor Location- Bristol Salary- Competitive Our client is seeking a Chartered Building Surveyor to work within their Building Consultancy team in Bristol. The role will involve advising clients on a broad range of matters including building surveys, dilapidations, party wall matters, contract administration and project management services on a variety of property types in the commercial sector. This is an ideal role for an individual wishing to broaden their expertise and responsibility whilst working for a thriving, growing, multi-disciplinary practice the heart of Bristol. Our client has over 65 years offering their professional services, and has ambitions of being the number one partner for property excellence. The role of Chartered Building Surveyor To produce reports to clients on building consultancy projects To work within the Building Consultancy Team To provide clients with advice on matters including party walls, dilapidations etc To present at client meetings Liaising with other UK offices on national projects Skills & Experience MRICS qualified At least two years' experience within the commercial property sector Good communication and organisational skills Able to work autonomously and as part of a team Full clean driving licence Why choose our client? Our client places their staff at the forefront of their success and their future ambitions, therefore they offer employees a number of benefits to being part of their team including: a competitive salary, company car or car allowance and a company pension scheme. If you are a chartered building surveyor who wants to showcase their years of experience on a new stage, please call Dario Bharat on , or alternatively email him at . Contracts Scheduler Manager (Building/Construction Industry) Liverpool Hours 8 am to 5pm Monday to Friday Salary c£25,000 - £35,000 Negotiable Contract Manager, Contract Scheduler with a construction or building background is required to join our well established client due to continuous growth within their contracts department. You will manage and facilitate an order from receipt to delivery. The company has an excellent reputation with Architects and Main Contractors. This manufacturing company specialising in supplying high quality bespoke products within the UK Construction Industry. Established for over 25 years supplying to a number of market sectors including; education, healthcare, mental health, ecclesiastical, MOD commercial and residential. This is a great opportunity to join a progressive firm. Contracts Manager - Contracts Scheduler You will need to manage contracts from order handover to final delivery Liaising with customers to ensure their requirements are fully understood and interpreted correctly. Scheduling production to specification and delivery Project management Support a small team of contract schedulers dealing with small projects, ensuring targets are being met. Provide support and assistance where necessary. Represent the company as the focal point for deliveries Produce an agreed schedule of the customer requirements through Liaising with the sales team to ensure the customers' requirements are fully understood including lead times, agreed delivery requirements, technical issues. Issuing a RFI (request for information) to the customer and clearly communicate the delivery lead times at all times Interpretation of architect's drawings and contractor schedules When require break the schedule into phases Facilitate meetings and site visits where appropriate to assist the customer in managing the project. Plan the delivery details with the "Planner" ensuring all raw materials are ordered accordingly and booked into the production plan Ensure all sub contract requirements are ordered and scheduled Manage order with regular updates with planning and purchasing Monitor order progress and ensure queries with order are dealt with Provide customer with progress information and visit site as necessary to liaise with customer Produce financial information for cash flow as necessary Maintain records of the history of the job You will need very good Excel skill and be able to interpret architect's drawings and contractor schedules. CONTRACT SCHEDULER, MATERIALS PLANNER, MANUFACTURERS, CONSTRUCTION, PROJECT MANAGER, SURVEYOR, ESTIMATOR, JOINERY, PLANNING, BUILDING SURVEYING, CAD, EXCEL, ARCHITECTURAL TECHNICIANS. Easy commute Lancashire, Skelmersdale, Ormskirk, Southport, Merseyside, Preston, Lancashire, Wigan, St Helens, Warrington, Liverpool, Maghull, Crosby Does this sound like your next challenge? If you have the relevant experience for either position then click the 'Apply Now' button and send us your CV, Apply now, don't miss this opportunity! Suitable applicants will be contacted within 3 working days. Who are we? GRO is a commercial, professional and technical agency, with a wealth of expertise in providing permanent and short term contract placements.